Welcome to our church. If you're not currently a member of our church - we'd like to take this opportunity to invite you to one of our Sunday services. We hope you and your family will have a warm and spirit-filled experience with us as we worship and fellowship together at our services, events, and ministries. 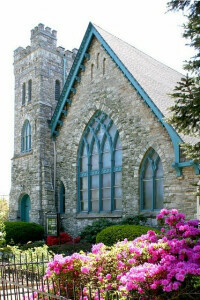 Trinity is a neighborhood church in the village of Berwyn, about 18 miles northwest of Philadelphia, PA. The town has a positive relationship with the church. We are well established and respected in the community. The immediate former pastor was a member of the Chamber of Commerce; participated on a committee on religion and education in the public schools; and was reaching out to the business community. The building serves as a polling place for elections and a meeting place for AA. It also houses a non-denominational pre-school. We financially support with a yearly contribution the nearby senior center and help to provide food to our neighbors in need, including residents of a nearby low-cost housing unit. The immediate past pastor has been involved with an ecumenical group to provide worship services at Thanksgiving and on Good Friday, in addition to public events of current interest. We would like these activities to continue and to be expanded.